Andrew and I haven’t celebrated Valentine’s together in quite a long time since it doesn’t usually coincide with a break from school. This year I was super lucky because he came to visit! 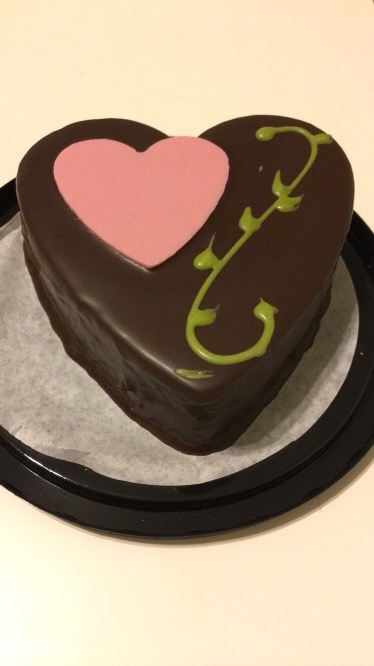 To celebrate we bought a little chocolate cake from Trader Joe’s. We were actually blown away with the cake and really enjoyed it!